When Brandon Spencer was delivering mail recently and saw legs sticking out from underneath a car in a garage, he initially thought someone was doing automotive work. But when the Clinton, IA, city carrier assistant noticed an open car door and a dog loose in the back seat, he suspected otherwise. Upon closer inspection, Spencer found that the man on the ground was unconscious. As he checked for a pulse, the man came to and said he’d recently been hospitalized for heart trouble. Spencer, who was also recognized earlier this year for another heroic act, called 911 and stayed with the man until emergency responders arrived. Last week Dead Tree Edition reported on the US Postal Service’s plans to hire 125,000 non-career employees in FY 2016. The USPS says it needs to hire that many “to maintain the appropriate levels”. Why? because many of the new non-career employees end up quitting. The document referred to in the Dead Tree article says that the attrition rate for non-career employees doubled last fiscal year, to nearly 40%. 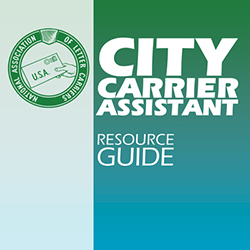 The attrition rate was highest among City Carrier Assistants, the non-career, lower paid position created by the last (arbitrated) city carrier contract. CCAs have an attrition rate of 54.24%, meaning that on average, most don’t last a year before quitting. Attrition rates in other crafts’ non-career complement were somewhat lower, but still reflect a net loss of roughly one in three non-career employees last year: Rural Part-time (RCA) = 30.10%, Postal Support Employees (PSE) = 36.60%, Mail Handler Assistant (MHA)= 29.86%, and Casuals =68.4%. 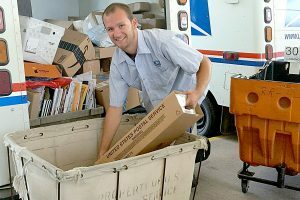 The USPS admits that “Recruiting for City Carrier Assistants (CCAs) is a challenge in some regions due the physical nature of the position and extreme outdoor environments, as well as local economic conditions.” Which raises the question: if it’s hard to recruit CCAs, and most that are hired end up quitting, is the non-career strategy really viable in the long run? 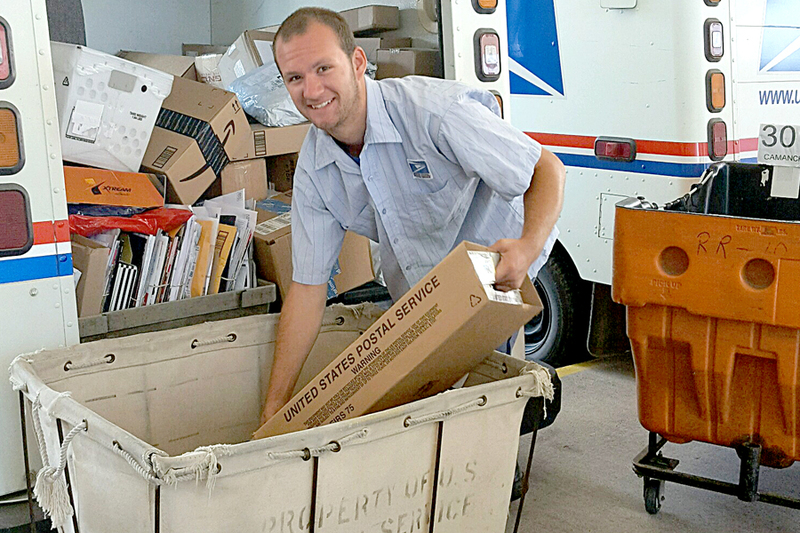 Daniel Newman, a City Carrier Assistant (CCA) from Rapid City South Dakota, has been indicted on charges of mail theft, according to court filings. The indictment alleges that Newman stole “U.S. currency, gift cards, and other items of value” from the mail between November 1, 2014, and March 5, 2015. Newman was arrested on Friday, and according to news reports, entered a not guilty plea. Trial is scheduled to begin on August 25. NORFOLK, Va. – Shalita Corley, 31, of Portsmouth, Virginia, pleaded guilty today to one count of secreting and delaying U.S. mail, which she had been entrusted to deliver. A statement of facts filed with the plea agreement reported Corley worked as a city carrier assistant with the United States Postal Service (USPS) from November 3, 2014 through February 6, 2015, when she resigned her position. On February 3, 2015, a Norfolk resident observed Corley acting suspiciously and walking about an overgrown lot abutting the Lafayette River in Norfolk. After Corley drove away in her USPS vehicle, the resident investigated and found two trash bags containing hundreds of pieces of mail, including what appeared to be one or more envelopes containing checks. The resident collected the mail and promptly turned it over to the USPS. Further investigation during the ensuing week by residents and the USPS led to the recovery of other mail scattered about the lot and seven additional trash bags containing undelivered U.S. mail, including what appeared to be bank statements, end of year tax mailings, USPS priority mail, letters from service members in the armed forces, and other mailed advertisements and the like. Review by agents with the USPS Office of Inspector General revealed that these items of U.S. mail had been postmarked on days falling within the first four weeks of January and the first week of February 2015. The USPS later delivered all of the recovered mail to its intended recipients. A Norfolk federal grand jury indicted Corley on March 4, 2015. Corley faces a maximum penalty of five (5) years in prison when she is sentenced on July 15, 2015. The maximum statutory sentence is prescribed by Congress and is provided here for informational purposes, as the sentencing of the defendant will be determined by the court based on the advisory Sentencing Guidelines and other statutory factors. Dana J. Boente, U.S. Attorney for the Eastern District of Virginia; and Paul Bowman, Special Agent in Charge, USPS, Office of Inspector General, made the announcement after the plea was accepted by Chief Judge Rebecca Beach Smith of the United States District Court. This case was investigated by USPS, Office of the Inspector General. Assistant U.S. Attorney Robert J. Krask is prosecuting the case. 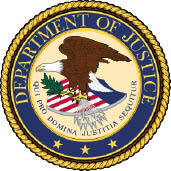 via Former Letter Carrier Pleads Guilty to Dumping U.S. Mail | USAO-EDVA | Department of Justice.